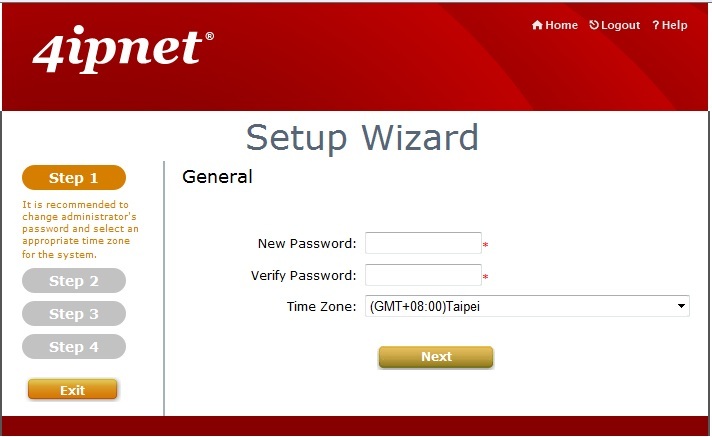 Today we have the hotspot and custom web access solution from 4ipnet. This is a three part solution that consists of a HSG260 Wireless Hotspot Gateway , SDS200W Device Server and PRT200 POS Printer. Let’s see what 4ipnet has to say about their product. The HSG260-WTG2 Wi-Fi Hotspot Kit s one of the best solutions for people without any IT background to setup Wireless Internet Service. It does not require cashing in on a pile of complicated equipment, nor does it require the skills of an IT expert to understand how simple the package works. The HSG260-WTG2 Wi-Fi Hotspot Kit is one of the best solutions for people without any IT background to setup Wireless Internet Service. It does not require cashing in on a pile of complicated equipment, nor does it require the skills of an IT expert to understand how simple the package works. The HSG260-WTG2 package comes with three major parts including: HSG260 Wireless Hotspot Gateway , SDS200W Device Server and PRT200 POS Printer. 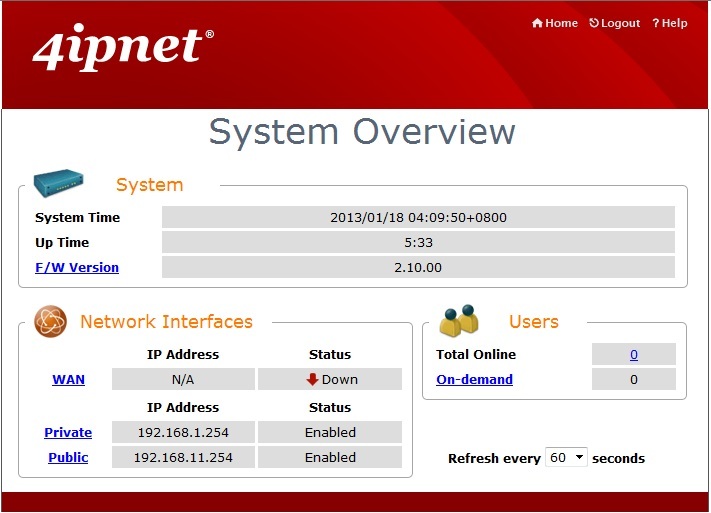 It is feature-packed for operation, built-in 802.11n/b/g access point, web server and a customizable web pages for clients to login, easy logo-loading for corporate image, simple user/visitor account management tool, network visitor’s ticket printing, service plan selection, traffic logs, IP sharing and etc. Equipped with 4ipnet’s patent-pending 4ipWES (Press-n-Connect) technology, the HSG260-WTG2 is able to establish an automatic WDS link with up to 2 access points at the touch of a button. Extending wireless network coverage in your office is a breeze. HSG260 now supports QR Code-Auto Login. 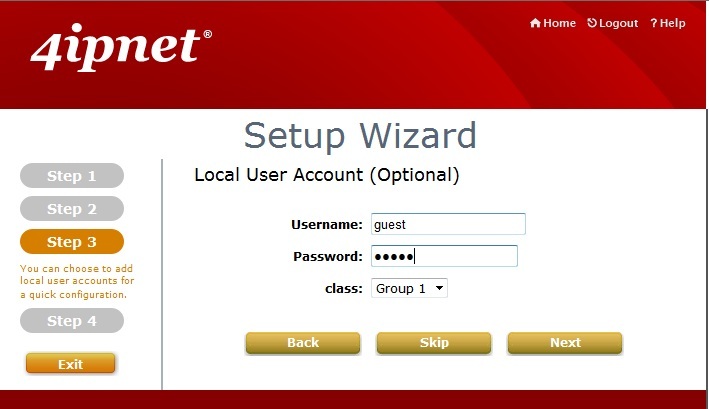 The unique feature allows operators or guest to login automatically by scanning the QR Code on the on-demand account ticket printed from 4ipnet’s POS Printer PRT200. The feature used any QR Code scanner on most smart, mobile devices. 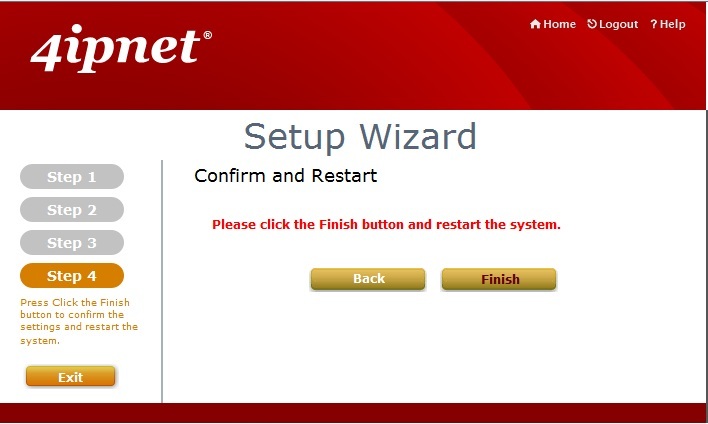 Setting up a Wi-Fi internet access service in the office is fast and easy. The HSG260 connects to the Internet pipe via ADSL/Cable/Satellite modem, and PRT200 POS Printer connects directly to the SDS200W Device Server through a serial port (in RS-232). Finally, SDS200W has a standard TCP/IP (in RJ-45) interface, so it is easy to connect directly to the HSG260’s LAN port or to your Local Area Network! In reception areas and meeting rooms, it has become necessary for corporations to provide a fast and easy wireless internet access for its visitors. 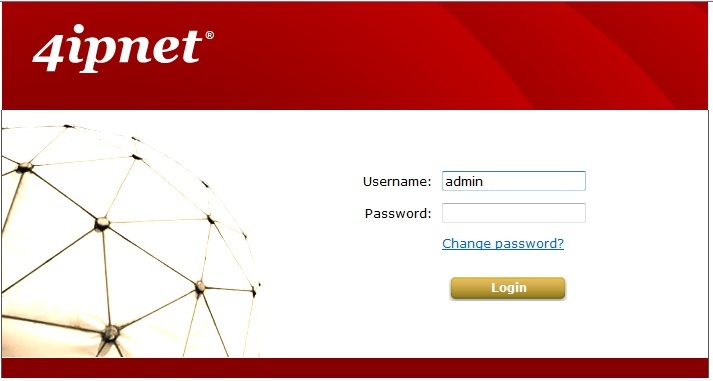 This will allow access to obtain live business information, retrieving e-mail during conference meetings, voice-over-IP calls, and up-/downloading video streaming by handheld devices within the existing corporate network. For small professional offices such as accounting or law firms who demand high-level network security, a standalone HSG260-WTG2 enables the offices to provide fast-n-easy but managed Internet service to their clients or visitors in an isolated fashion, free of charge, and securely preventing unauthorized access to the intranet. So the first question we need to answer is who would be interested in this kit. The answer is simple. You own a business and would like to offer wifi access to your customers. You either intend to charge for wireless access or want to be able to in the future. The 4ipnet HSG260-WTG2 Wi-Fi Hotspot Kit makes what would otherwise be an expensive and difficult process simplier and customizable. The kit provides everything you need to get started and is expandable in ways you may find useful immediately or down the road. 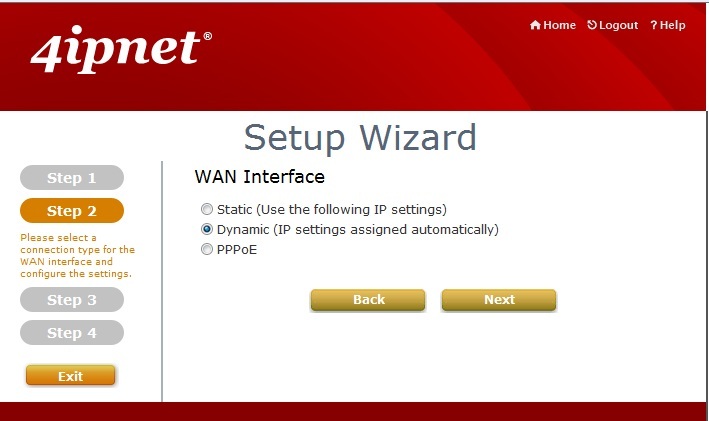 More than just a hotspot the 4ipnet HSG260-WTG2 Wi-Fi Hotspot Kit gives you the ability to create custom landing pages and charge for access in an easy way. 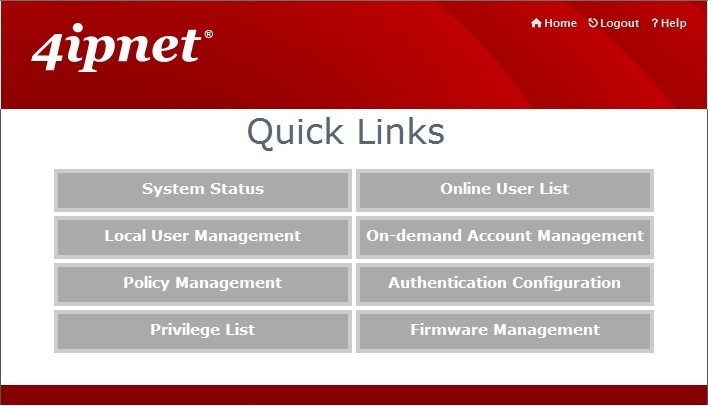 You can setup access that suits your needs and maintain control over that access with ease. As we mentioned this WiFi hotspot kit consists of three components that bring you the ability to offer customized wireless, accept payments, and print receipts. Together they are a POS (Point of sales) kit for any business desiring the ability to offer wireless on a charged basis. 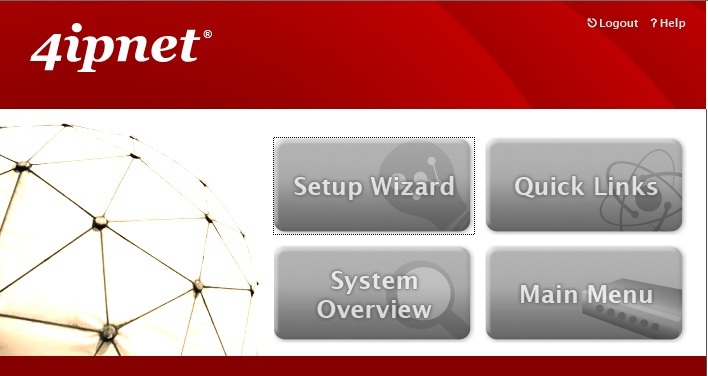 This kit goes well beyond your basic wireless as we mentioned and has the capability to route connected devices to a customized portal, limit online durations, and much more. Let’s take a look at initial setup of the device. The HSG260 is very simple to setup, total time from login to completion of initial setup was 5 minutes. The best part of the HSG260 is its simple menu layout which lends itself very well to those business owners who don’t want to have a degree in IT in order to offer wireless to their customers. The HSG260 lets you focus on your business instead of managing your wireless solution. It is very adaptable and can be as complex as you need it to be either initially or at a later date with its substantial management features or its customized web portal offering. As you can see by the menu we stepped through a total of 9 screens till the device could be hands off. Now it should be noted that this was the most basic of setup and included only configuration of date/time, and connectivity options. 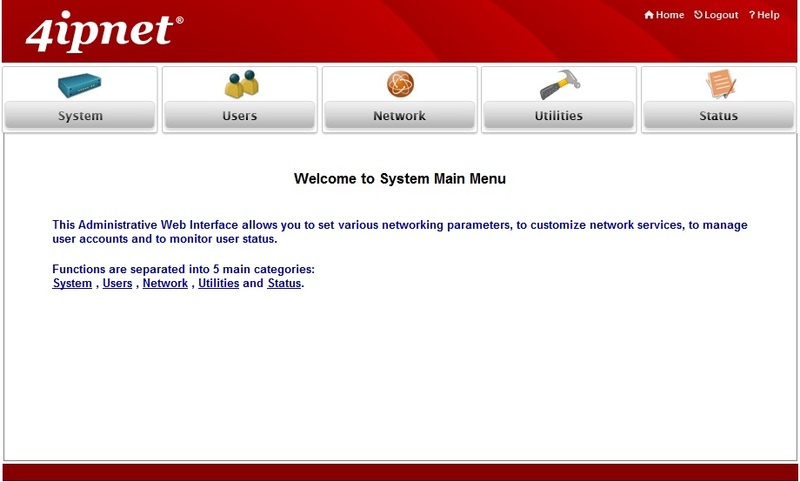 Once you are at the main menu you are presented with a wealth of configuation options and data about your network. This includes connected clients, time on, and much more. The HSG260 employs 802.11n which is now widespread and comes equipped on nearly all laptops currently being built. The 802.11n standard should also allow for enough broadcast strength to cover most small to medium sized businesses as long as it is centrally deployed and there are not too many solid walls separating areas. 4ipnet does offer additional AP’s should more coverage be needed.